Lake of Isles offers an inviting setting for your celebration. The main foyer welcomes your guests with its fireplace and large sitting area and the elegant Pequot Village Ballroom accommodates small and large groups up to 250 guests. 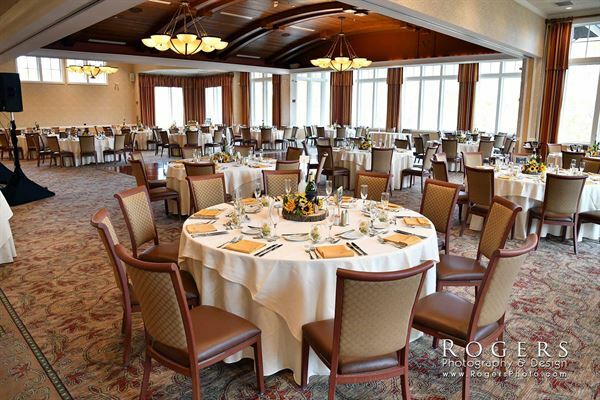 Enjoy your next banquet in our 50,000 square-foot clubhouse which features a magnificent Connecticut wooded setting on over 900 acres. The beautiful lakefront deck is complemented by an exquisite ballroom serving world-class, innovative contemporary cuisine. No matter the occasion, Lake of Isles offers an extensive selection of menu items, catered to individual needs. Please see attachment for information. Please see attachment for information and menu options. Prom Packages start at $55.00 per person. Entree Selections: • Grilled Salmon • Chicken alla Francaise, Marsala, Piccata or Dijon • Lobster Risotto Stuffed Flounder • Roasted Breast of Chicken • Grilled Jumbo Gulf Shrimp • Oven Roasted Prime Rib of Beef • Grilled Filet Mignon • Macadamia Nut Crusted Veal • Tournedo of Milk Fed Veal and Grilled Gulf Shrimp • Mixed Grill Please see attachment for additional menu options.